One of the best ways we can protect the earth is by making lifestyle changes. From recycling, using less water, to creating less trash in our day-to-day lives, some of these changes can get some getting used to. If you're looking to reduce your environmental impact, one of the easier changes is purchasing eco-friendly or clean energy products that maintain balance in our eco-system. The increasing use of plastic and other petroleum-based products have caused the major upset to our eco-system and disturbed the oceans basic structure along with direct effect on human as well as marine lives. The efforts are being made across the world to get rid of dangerous materials that replaced with more sustainable products and energy sources. Though there are many options for spectacle frames available in the market today, an online store Tetewood led by Jayakumar Mamani deals in biodegradable wooden frames that brings you a range of attractive and eco-friendly wooden spectacle frames match your style and taste. He got inspired to develop these frames in India from nature itself, you can use for fitting your regular power lenses or even for creating truly advanced glares. He became an entrepreneur and founded Tetewood after working as an engineer for Wipro. To counter the imported spectacle frames from China, Tetewood is the only company in India that manufactures and customises wooden frames. The company has a unique style of working that you won’t believe, “The customers can bring any wooden piece to us and we will make the desired spectacle out of it. For instance, even if a broken chair is given to us, we can make multiple frames out of it,” said Jayakumar. With a small fund of ₹ 5 lac from his friends, he started the Tetewood (Tete stands for Tectonas Texture) in January 2017 and now has a presence in Bengaluru and a manufacturing unit in Karaikudi, Tamil Nadu, reports The Better India. The cost of a frame begins at ₹ 2,500.($50). Each frame is not only completely customisable but can also be engraved with any name or design of your choice, and the frames are made and delivered within 2 days of placing an order. 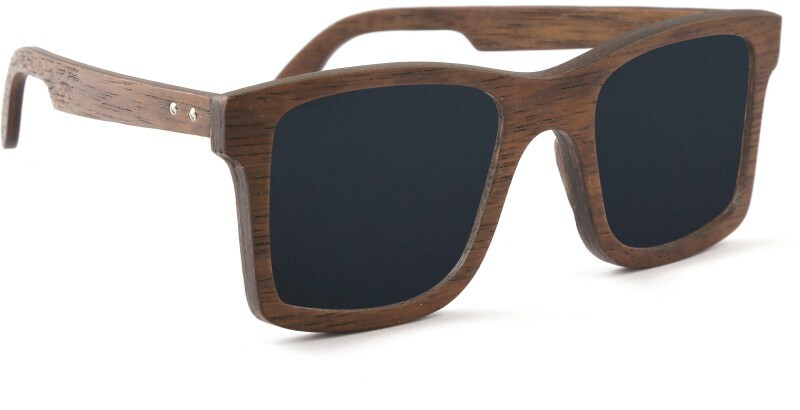 Tetewood has taken the patent for the patterns/engravings over wooden optical frames, luxury frames- frames with wood and gold costing from Rs 20,000 to Rs 60,000 per frame. The decision to buy wooden eyewear from TeteWood will initiate your effort to bring about a positive change and help create a better, cleaner and safer environment for not only your fellow earthlings but the future generations as well. Interestingly, you do not need to give up on your style and elegance in the process of helping save Mother Earth.